← February 2nd Is The Last Day To Remove Christmas Decor And Avoid Dark Luck! Santa Claus’s 2012 Valentines Vacation Battle With The Anti-Claus! 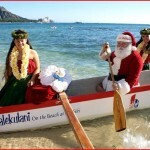 For Valentines 2012 Santa Claus & Mrs. Holly Claus took a romantic vacation in Hawaii. Their kids Nicholas, and Mary are at home in North Pole City being watched by trusted Enchanted Elves. Holly took the picture to the left of Santa enjoying a little Pacific ocean boating with the natives. As you may or may not already know, the Anti-Claus aka Claude Claus is Santa’s evil twin brother who lives on a hidden island in the South Pacific. 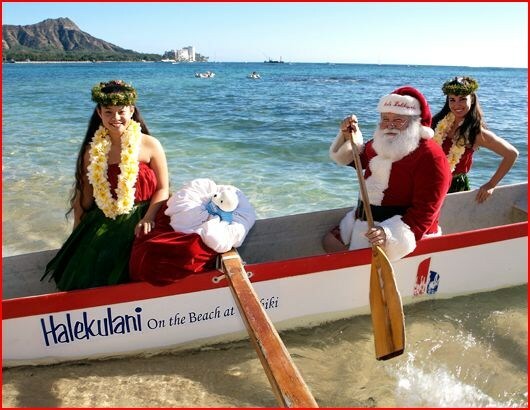 Either by fate or through his evil Gnome informants, he found out Santa was in Hawaii and decided to pay him a visit. Witnesses report that Claude was wearing mostly black clothing along with sunglasses as he confronted his brother in a hotel lobby. The meeting was low key at first but Claude quickly grew angry about how Santa had thwarted his Dark Christmas efforts in 2011. The jealousy of Santa’s popularity could clearly be identified in all Claude had to say. Soon the harsh words escalated into a loud argument despite Santa’s efforts to calm his wayward brother. Finally, a Hotel Manager came over and demanded they take it outside. The Anti-Claus slapped the Manager which prompted Santa to reluctantly belt Claude across the face in defense of the helpless human. This sent him flying into the front counter causing a bellhop to scream, and run away. 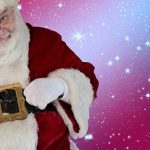 Santa then bellowed,”I’ll see you outside if you want to continue this pathetic idiocy!” Santa knew how his brother’s violent mind operated, and he wanted to get out of the enclosed space that could endanger others if a supernatural fight broke out. Claude got up off the ground and ran toward the door but Holly stood in his way. She could be heard saying,”Claude please embrace the light, and leave the desolate darkness behind you! We can live as a happy family forever at North Pole City.” Claude then responded,”I’m sorry Holly but my path was charted a long time ago when my Mother gave me up at birth and smothered Santa with a sweet loving life while I was raised in the very bowels of hell itself!” He then brushed past the distraught Holly Claus. For the first time, some glimmer of humanity was seen in him since he was deeply attracted to her. Outside the hotel, an epic battle raged as two supernatural titans engaged in hand to hand combat. Demi-Angel vs Demi-Demon spiritually linked to said Angel via twin brother bond! Both Brothers were tossing each other around like rags dolls, and exchanging blows that would decimate a normal man. The hotel building and surrounding cars were severely damaged in the awesome carnage. Luckily Father Christmas took great care to protect onlookers. Holly also directed people to get out of the way. Near the end of their battle, the Anti-Claus picked up an entire Dodge Ram over his head and lopped it at the great Claus. Santa panicked as the car was headed toward a group of kids instead, and screamed,”NO the children!”. He ran toward them for dear life as the huge black truck loomed over the kids. Claude stood by laughing maniacally as police pulled up with lights flashing, and sirens blaring. Santa caught the giant vehicle just before it landed on the kids who all cheered with glee, and thanked Santa for his strength, and heroism. Claude just muttered,”Damn that goodie two shoes!” The puzzled police yelled,”Freeze! Put your hands in the air!” Claude just cackled as he plodded toward them in a menacing manner purposely pulling his hands in and out of his pockets. The cops opened fire but the bullets merely bounced off the human-demon hybrid Claude as he casually pushed them aside, and picked up one of the police cars. The police had no idea what was going on, and another group of officers had restrained Santa who initially chose not to resist. To the shock of everyone, Claude was about to throw the car into a busload of people nearby until he got a look of excruciating pain on his face forcing him to drop the car. Holly stood nearby holding out a small satchel of IIex Opaca aka North American Holly which is a known Anti-Claus repellent. This particular satchel was also imbued with a magical potion consisting of an essence of European Mistletoe, and Poinsettia. It acted as a Kryptonite of sorts to greatly weaken the Dark Claus. As he rested on his knees gasping for air Holly sadly said she was sorry with tears in her gentle eyes. The police moved in and cuffed him just as Santa was being handcuffed as well. All the sudden the sunny skies grew dark as black foreboding clouds abnormally flooded the sky with otherworldly roars of thunder intermixed with flashes of disturbing purple lightning. A group of 13 green witches dressed in traditional black robes complete with pointy hats emerged from a flash of red light. Santa immediately knew it was the Anti-Clauses notorious coven of 13 wicked witches. Claude cackled almost as loudly as the wicked witches while saying,”Ladies finish them all off!” Santa screamed,”Nooooooooo!” while using magic to release himself from his cuffs and push the cops aside as gently as possible. He raced toward the coven whose hands were raised as they prepared to release a barrage of dark metaphysical energy upon the crowd of innocent witnesses. 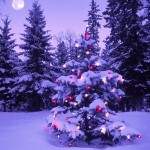 Neon purple colored energy shot from their hands but Santa absorbed it all as he grunted in agony. Holly was then tossed aside by a horde of little 2 1/2 foot tall Gnomes scurrying about. They were the Anti-Claus’s version of enchanted elves! They attacked the police, and Claude freed himself from the cuffs. He headed toward Santa while Mrs.Claus bellowed,”Santa behind you!” Before Claude could get to him a flood of Enchanted Elves came out of nowhere and launched themselves onto Claude, and the evil Gnomes as well. Biting, scratching, and the punching of little fists flew forth! Meanwhile, Santa held his hands in front of him as he mustered up all his Demi-Angel powers while praying to the Holy Lord to help him. From the Heavens above the clouds parted slightly, and a white Heavenly light shined upon Santa imbuing him with emergency Archangel powers. A voice could be heard saying,”Be triumphant against the forces of evil my son.” The voice was most likely that of his Archangel father, Sarandiel. At that moment the look of pain etched upon Santa’s face ended and was replaced with a look of determination as a white energy beam radiated from his hands slowly repelling the 13 dark energy beams of the witches. The look of sinister amusement left the wicked witches faces as the white light grew ever closer to their dark hearts, and souls! The Anti-Claus watched helplessly as his loyal cult followers were beginning to lose the battle. He was being held down by multiple Elves who had also subdued the evil Gnomes. Mrs.Claus came over and placed the magic Holly satchel on the evil Clauses chest making him utterly weak once again. Claude quietly pleaded to his dark lord for help as Santa Claus’s white light overwhelmed the witches causing them to fly into some trees nearby. They were visibly scared and had no idea what to do next as the clouds cleared out revealing the warm Hawaiian sunshine once again. Santa stood with his hands on his hips triumphantly as he ordered his elves to take the witches into supernatural custody. They ran over to the witches as the police just stood paralyzed realizing this was well out of their jurisdiction. All the sudden a red vortex sprung forth in the middle of the spectacle releasing a hellishly hot wind upon the crowd as a local news camera crew pulled up. Santa screamed,”Everyone get back! It’s a porthole from Hell!” The Anti-Claus snickered weakly and exclaimed,”Yes my foolish brother my dark master will finish you once, and for all!” A clearly indescribable demonic figure began to emerge while the crowd screeched in horror. Santa then whispered,”Oh sweet Mother of God Noooooooo!” and shot his beam of white light at the entity of evil. However, the menacing figure absorbed it while his sinister laughs abnormally echoed throughout the general area. Some reported hearing it over five miles away! The entity was a powerful Arch-Demon whose entire body then spewed forth a burst of black spiraling waves intermixed with red, and orange particles. 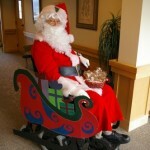 It hit Santa like a Mack truck sending him flying through the hotel wall back into the lobby. He immediately got back up and ran outside at super speed. The wicked witches ran toward the vortex tossing the Elves aside who now cowered in fear. The demon summoned the Dark Claus as he defied the holy Holly, and rose to his feet walking toward him. Santa attempted to stop him but the demon’s power tossed him through the glass doors. The entire nefarious gang stood at the opening of the vortex as the demon bellowed,”Under the joint Supernatural Secrecy Pact I hereby eradicate everyone within a mile radius!” For a moment Claude looked over at Holly with fear but he quickly shrugged off his worry for her as he didn’t want to show a trace of humanity in front of the demon. The demon shot an orange ray into the ground, and it began to grow into a ball of energy. Suddenly a pure white light shot from the Heavens with authority, and Santa’s father, the Archangel Sarandiel appeared. He forcefully replied to the demon,”Your twisting of the Supernatural Secrecy Pact will not be tolerated!” The demon simply shook his head and rolled his eyes. Then Sarandiel gazed upon his other son the Anti-Claus with despair as he addressed him,”I pity your dark plight, my son. I apologize for not being there for you but destiny is not always kind!” The Anti-Claus snickered and replied,”Oh Daddy I could give a crap! The Devil is my true father! Someday your precious Heaven will be lit by the fires of Hell rather than the light of your supposedly loving Father!” The Archangel responded,”So be it, my misguided Son!” He then shot a white light from his hand sending the evil entities, including the Anti-Claus, into the vortex screaming in terror. It promptly closed as everyone gazed upon the awesome Angel with awe as he glowed a soothing white light. Santa walked over to him, and hugged him while saying,”It’s good to see you again Father.” Sarandiel then replied”You as well my son. Your mother and I are proud of all you’ve accomplished on Earth!” The Angel Marcia, a former human, and his Mother, then appeared as the entire crowd dropped to their knees, and wept at the miracle they were witnessing before their eyes. Santa hugged his Mother, and she said,”I love you Santa. 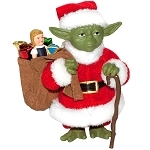 God bless you, my sainted son.” Santa cried tears of joy as he embraced both his parents. Then Sarandiel announced,”Under the Supernatural Secrecy Pact I hereby erase all memory of these alarming events!” He waved his hand, and a huge wave of amber light washed over the crowd erasing the video tapes, and memory chips of all recording devices. Luckily the news crew wasn’t able to send out a live feed due to the electromagnetic interference of all the magic being volleyed about. Santa ordered his Elves back to their hiding places in the general area since they were in essence Santa’s Secret Service. They scurried away into shrubs, up trees, a few hopped in the pool nearby, and some hid behind objects. One even leaped up on to a ceiling fan! Elves are exceptionally excellent at hide and seek! The Parent Angels bid Santa farewell and ascended back to Heaven in a fantastical flash! Santa and Holly quickly walked back into the hotel, and he tossed a bag full of gold coins behind the counter for the damage to the hotel. They then lied low in their hotel room to enjoy the rest of their vacation while the crowd outside wondered why they were all hanging around. They also were puzzled as to why the police were there, and how the damage to the building and the vehicles had happened. The police were dumbfounded as well. Unfortunately, the Supernatural Secrecy Pact doesn’t cover property damage. The media explained the damage on freak lightning strikes from the spontaneous storm that abruptly entered the area. That fact itself was covered up by the US Paranormal Defense Agency as it was seen as paranormal phenomenon. Santa & Holly Claus proceeded to have a very merry Valentines Day free of any more drama! 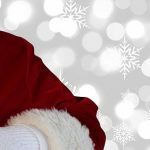 How Old Is Santa Claus Right Now? 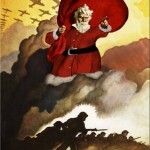 Will Santa Claus Fight In Armageddon? 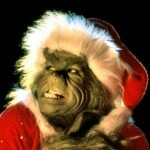 How Can Santa Claus Be Harmed By The Anti-Claus? This entry was posted in Angels, Anti-Claus, Archangels, Elves, Gnomes, Santa Claus, Valentines Day, Witches. Bookmark the permalink. 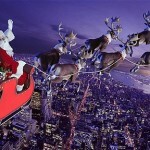 1 Response to Santa Claus’s 2012 Valentines Vacation Battle With The Anti-Claus! This story gives rise to crazy and fun mental pictures. 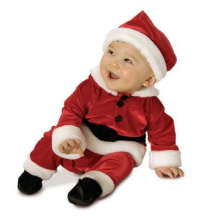 Do Babies Born On Christmas Possess Special Powers? What Does North Pole City Smell Like? How Does Santa Claus Go Down The Chimney? What Did Santa Claus Do On Saint Patrick’s Day? What Did Santa Claus Do On Mardi Gras? Will Santa Claus Deliver Presents If I’m Awake? When Does The Christmas Season Officially Begin? 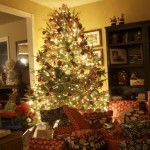 When Does Santa Claus Deliver His Christmas Gifts?